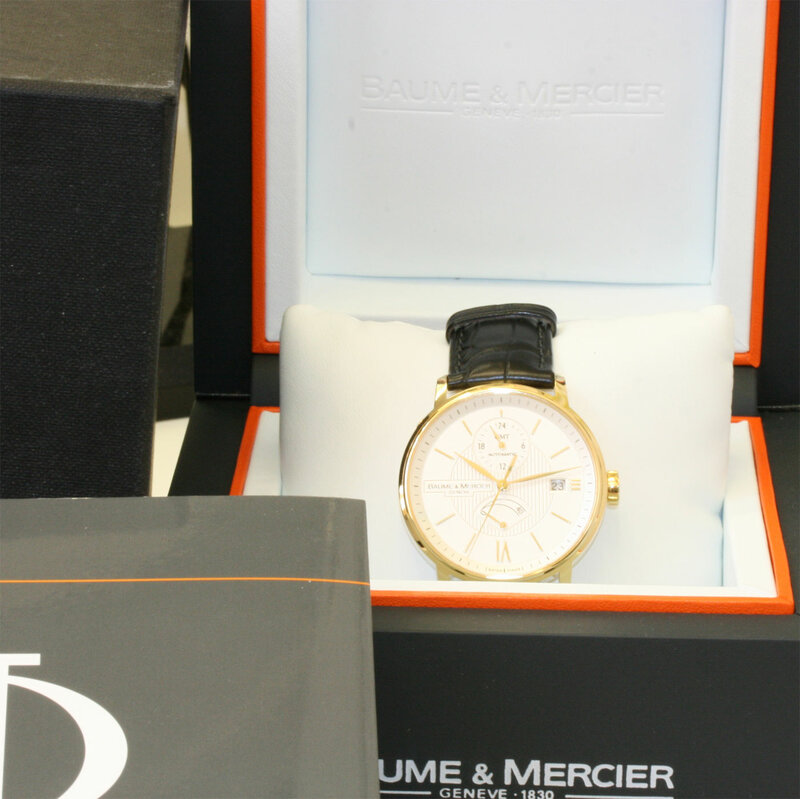 Baume and Mercier wrist watch. Product code: 738 Categories: Sold Items, Sold Watches. 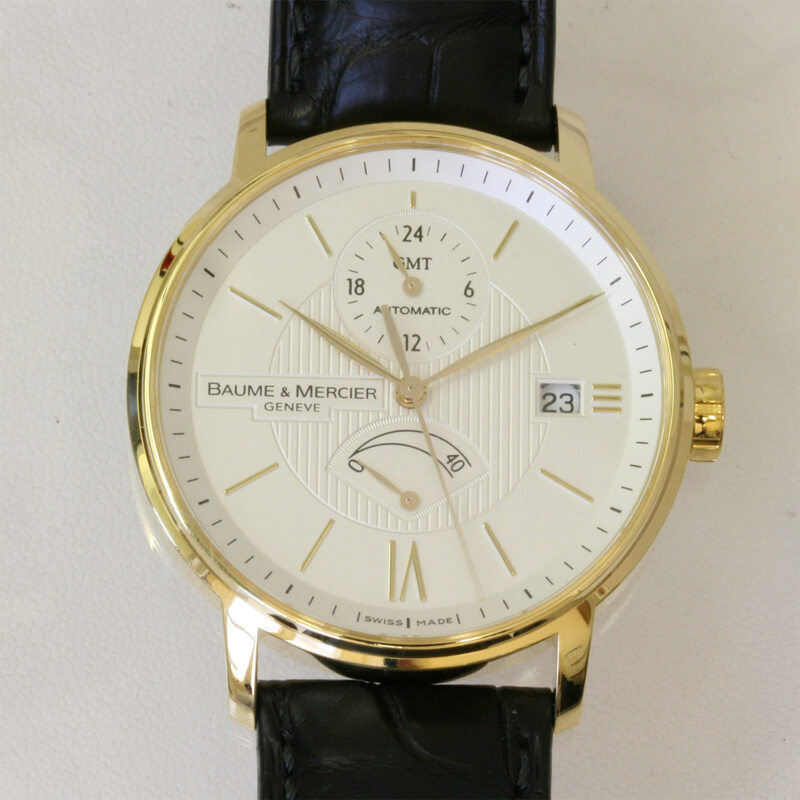 Baume and Mercier make such an elegant range of watches, and here we present the gents Baume and Mercier Classima Executives in solid 18ct yellow gold. The watch case measures 39mm and is so easy to read, yet also displays a date window, power reserve and GMT time, all on a fabuolous looking gulloché dial. This is all protected by a sapphire crystal on the front as well as the exhibition window on the reverse which reveals the 28 jewelled automatic movement. This watch was won in Febuary 2009, and has never been worn and comes complete with full box and papers, and is still under factory warranty. This is a great looking and easy to wear watch for any occasion.